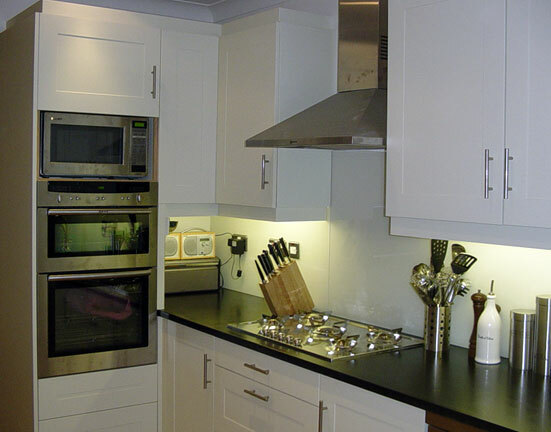 This kitchen was made with spray-finished, Shaker style doors and a slate worktop with a butler sink. The interiors were made from melamine-faced MDF with oak lippings, as was the wine rack. The floor and stairs were laid with tongue and groove European oak, and the timber balustrade was replaced with toughened glass.